After you’ve trimmed off a bit of the stem end, and a bit of the pointy end, pack your one pint sterilized jars with okra, first filling the bottom with the enough okra to fill the bottom of the jar, thick end pointing down. Then cram as many more as you can in between then, thick end pointing up. 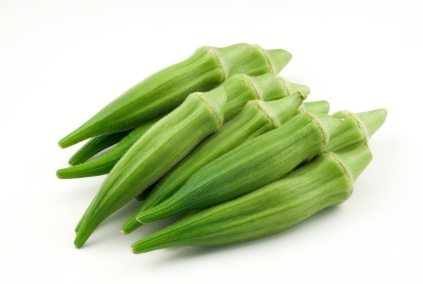 Then tuck in as many tiny okra as you can in and around the top area. 2 pounds of okra should fill about 5 pint jars.